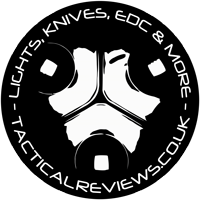 NITECORE have gone beyond just portable lighting and have started designing products for EDC and daily carry. 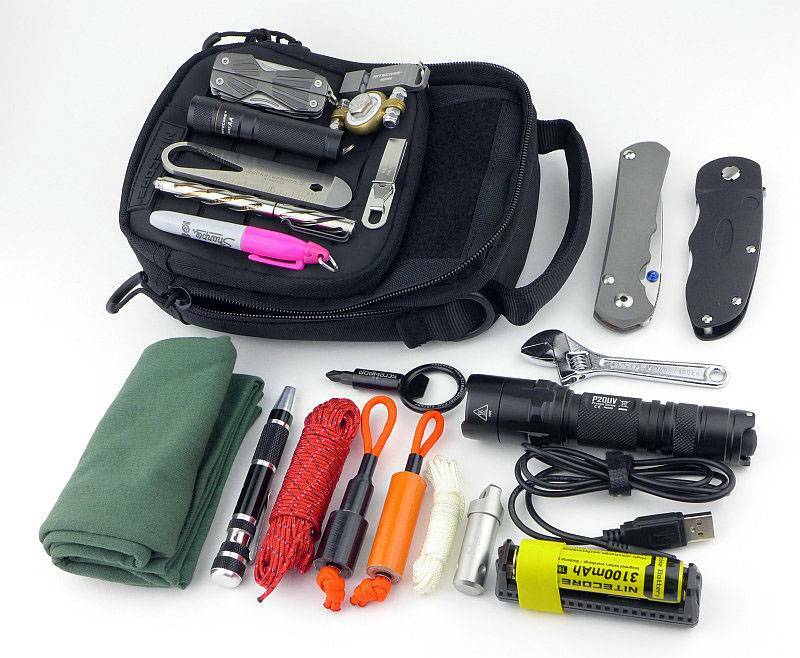 We now have the NUP10/20 Utility Pouch and the NPD10/20 Daily Pouch which give you plenty of carry options for all those essential bits of EDC gear. 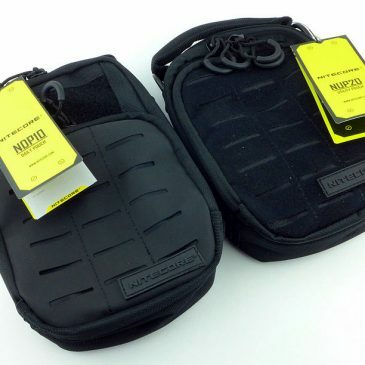 On test in this review are two of the four versions of these pouches, the NUP20 and NDP10. They arrive (like most bags) in a cellophane over-wrap. Starting with the NDP10, firstly let’s just cover the naming convention for these pouches. 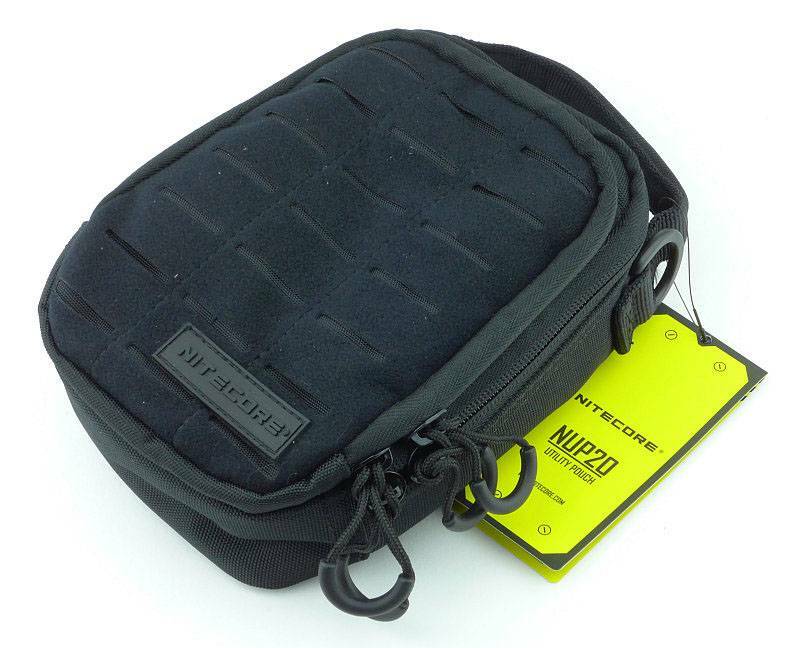 The NDP part means that this is the NITECORE Daily Pouch, and the NDP is either the 10 or 20 depending on the front panel. 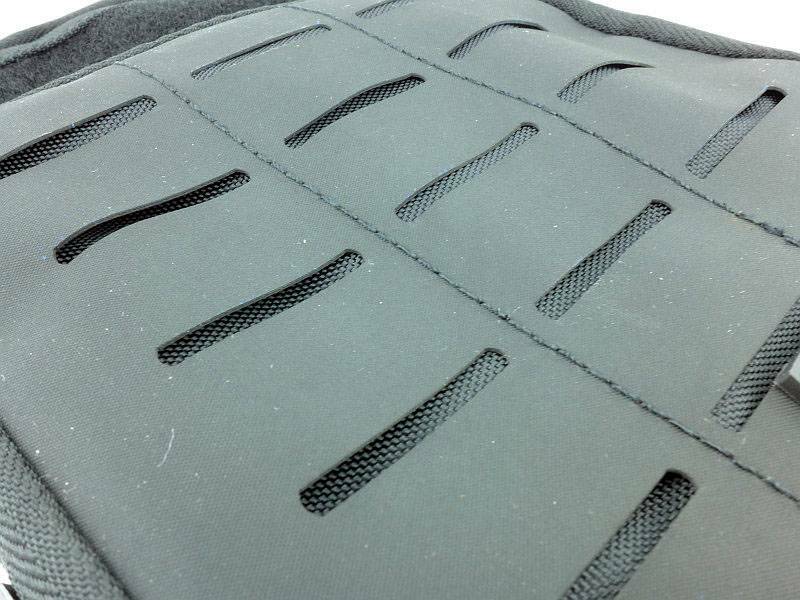 If this is 10, it has a ‘Hypalon’ Synthetic Rubber panel, or if 20, it has a ‘Velveteen’ Synthetic fabric front panel. 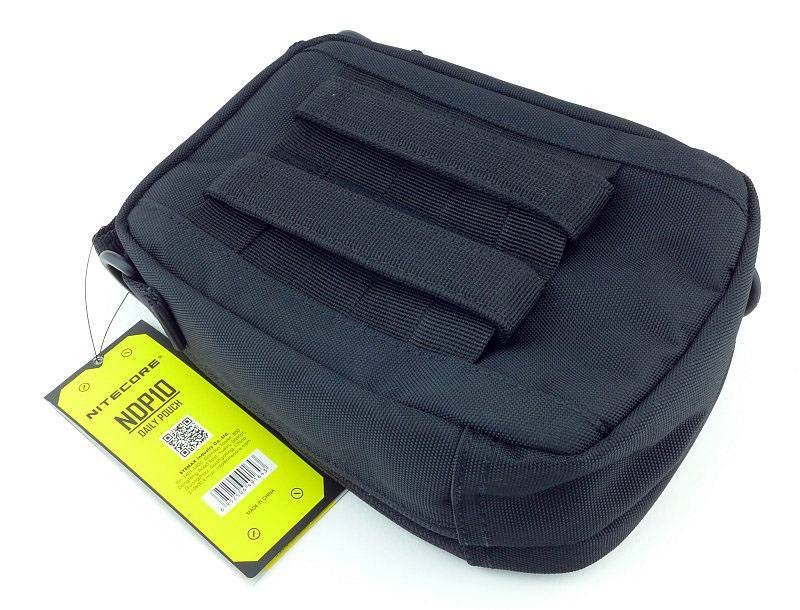 So this NDP10 pouch is the larger ‘Daily Pouch’ and it has the ‘Hypalon’ front panel. 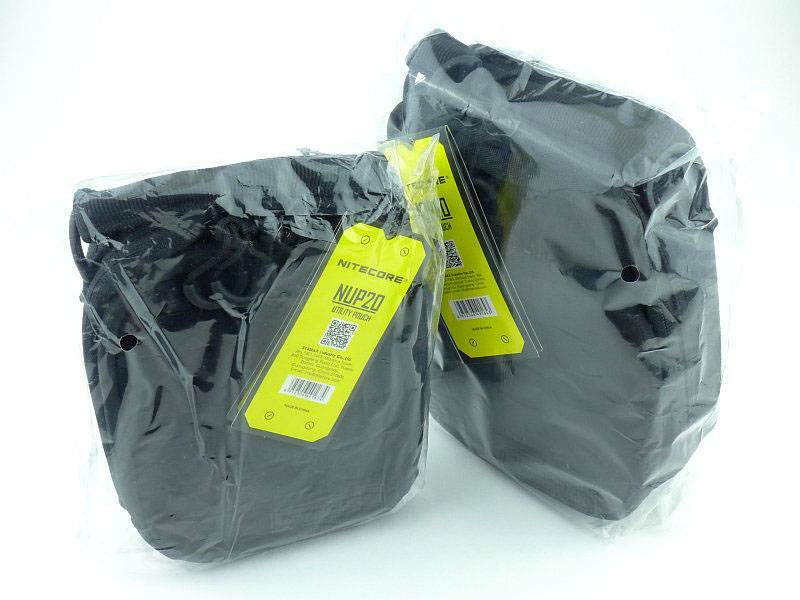 In keeping with the stealth appearance of the pouches, the rubber NITECORE logo has none of the usual yellow colouring. If you haven’t come across Hypalon before, it is a synthetic rubber made of chlorinated and sulphonated polyethylene, noted for its resistance to chemicals, temperature extremes, and ultraviolet light. A detail of the Hypalon’s surface and cut-outs. 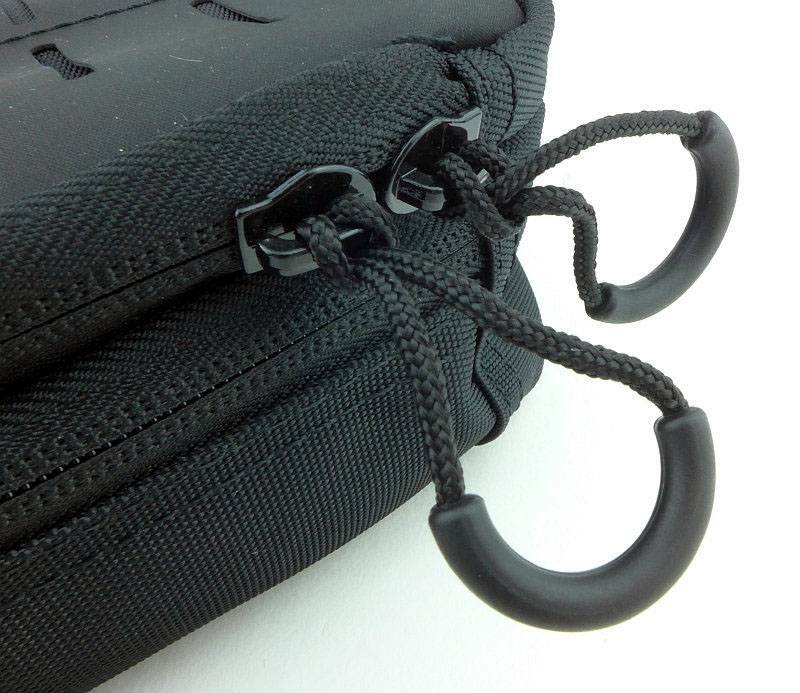 Access to the comparments is via the zip closures, and NITECORE have made these zips very easy, with large zip-pulls having a semi-circular moulded loop. 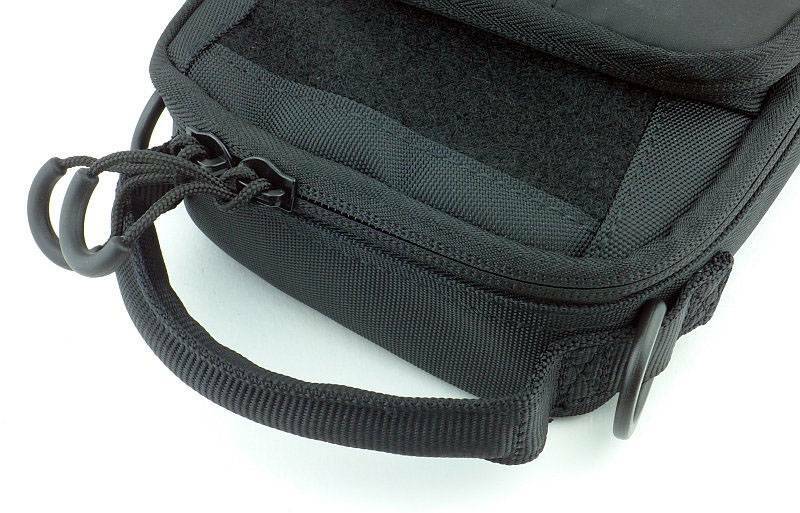 On this larger Daily Pouch, there is a small hook and loop patch-panel for personalising your pouch. On the NPD20 you can fix patches to the entire front panel, but the Hypalon prevents this on the NPD10. 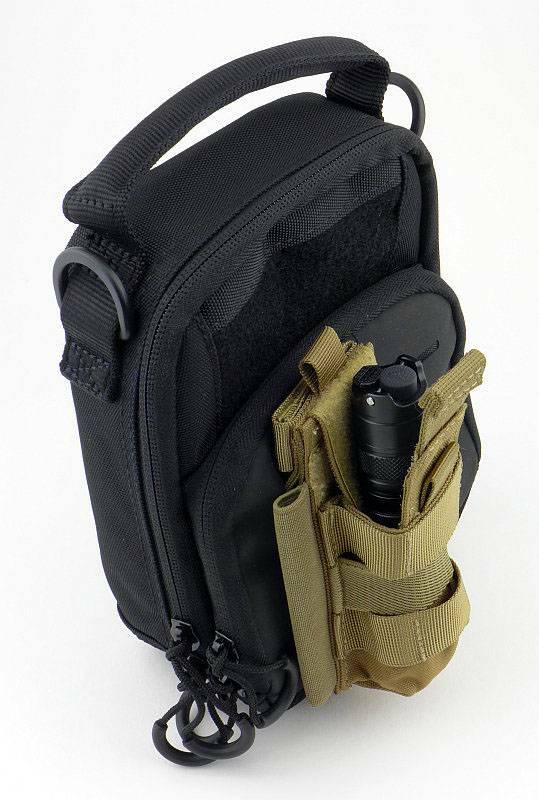 There is a padded carry handle on the top of the pouch so it can be held like a small bag. It also comes with a shoulder strap. 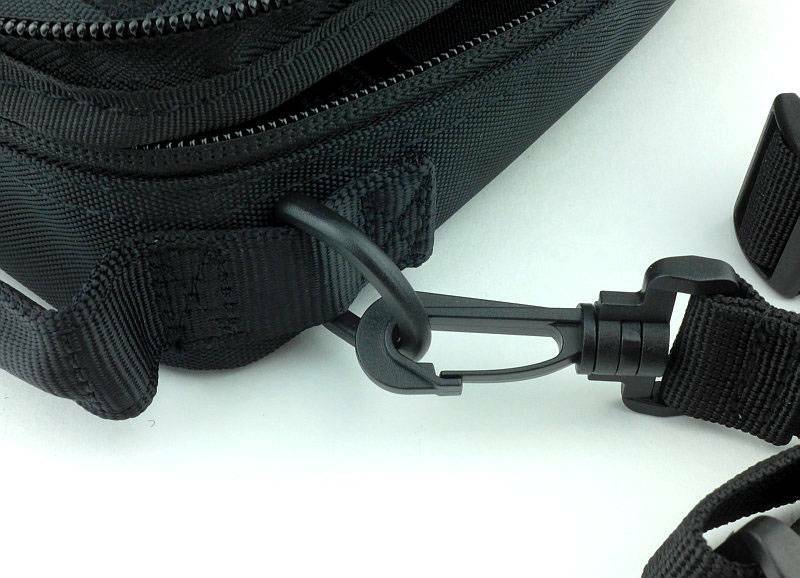 The shoulder strap clips onto D-rings either side of the handle. 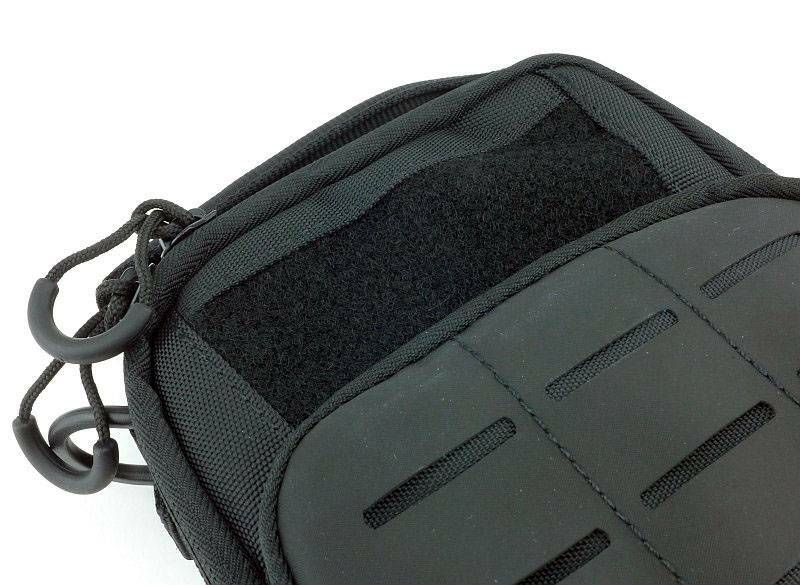 On the back there is a PALS webbing attachment which is compatible with PALS/MOLLE systems. 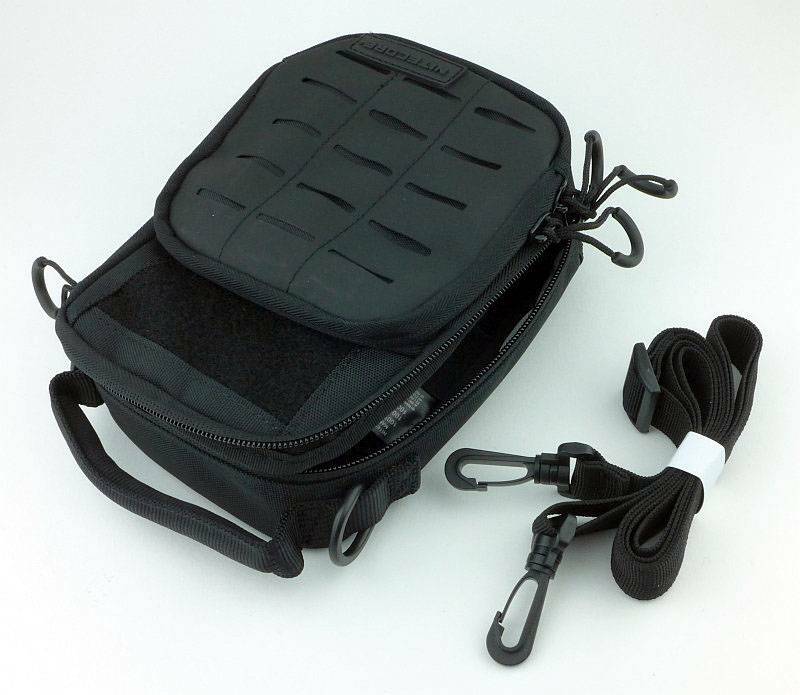 Supplied with the NPD10 are two PALS connection strips which have a Velcro closure. 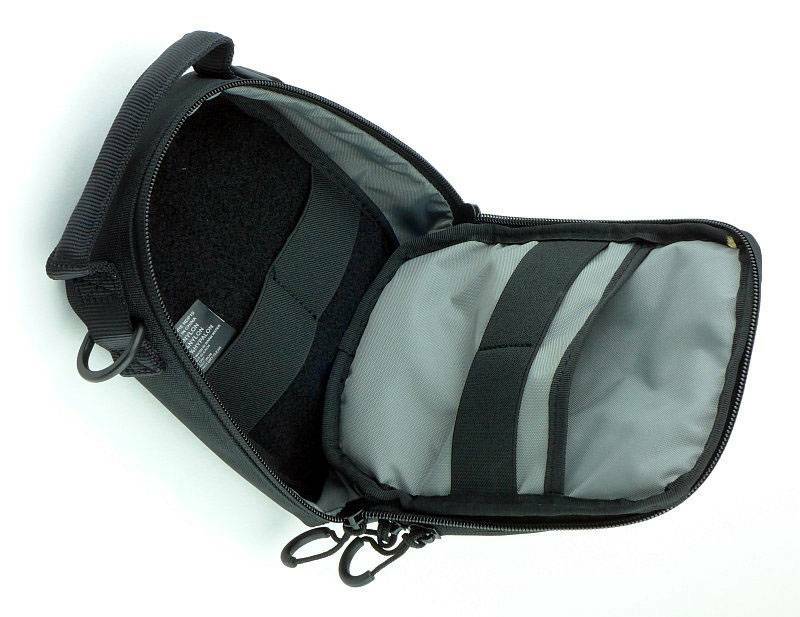 Opening the main compartment, there is a pocket fixed to the front with an elastic organiser strip, and the rear of the main compartment has a full hook and loop surface for additional flexibility, plus another elastic organiser strip. As the zips run all the way from one side to the other and have double zip-pulls, the access to these pouches is ambidextrous. 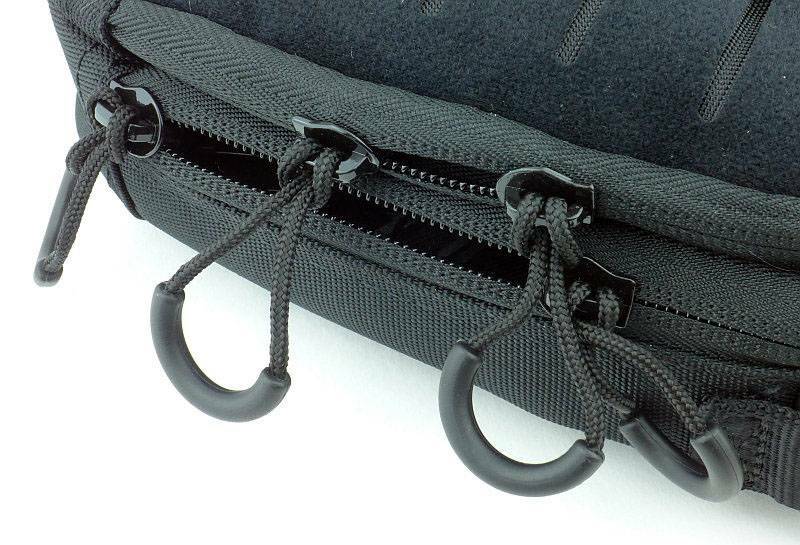 The hook and loop organiser surface in the main compartment. 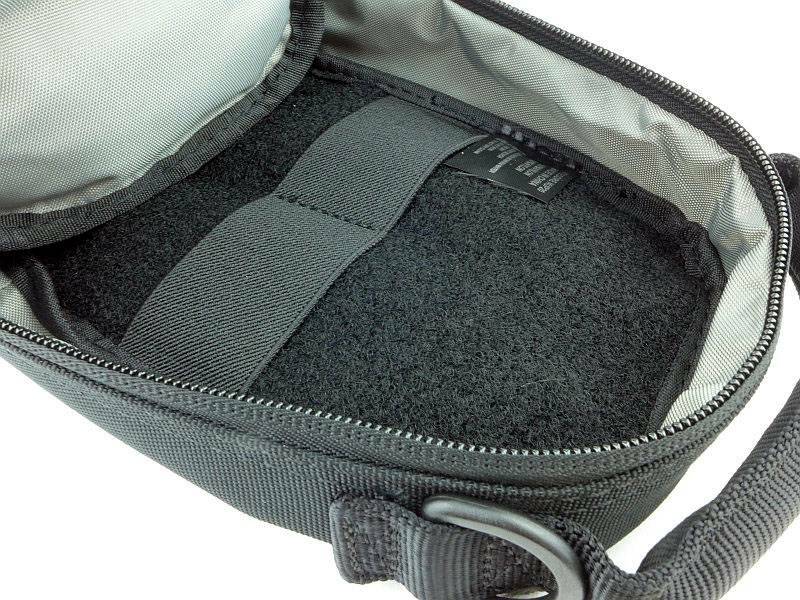 Inside the front compartment, there is even more organisation for small items. 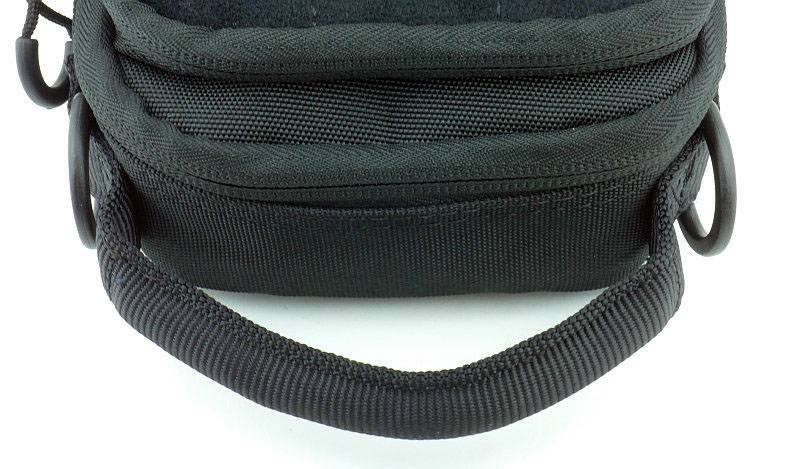 Two elastic strips, a front pocket and a clip/D-ring fixing point for keys etc. Now we switch to the smaller NUP20. 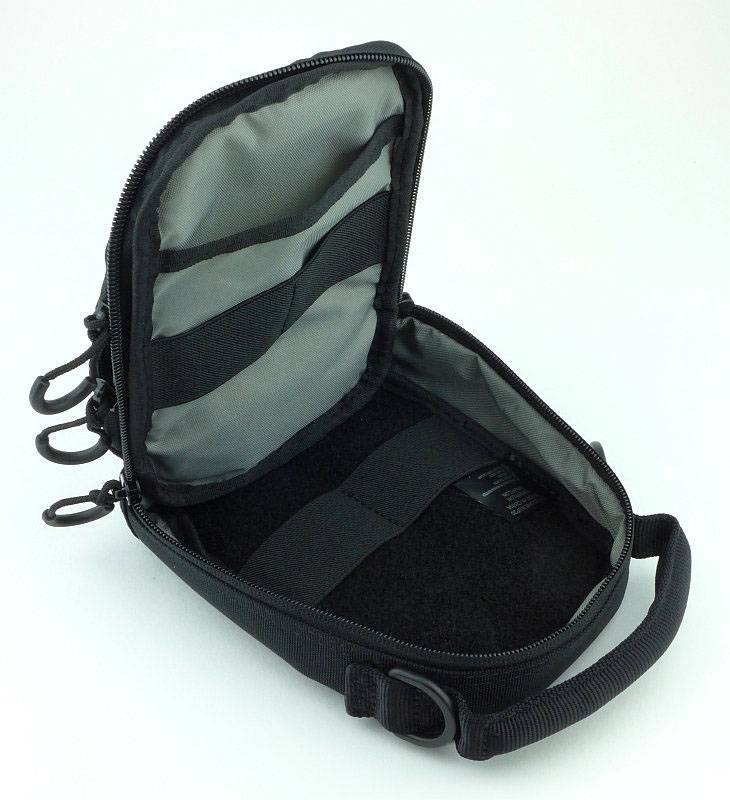 NITECORE Utility Pouch with ‘Velveteen’ Synthetic fabric front panel. 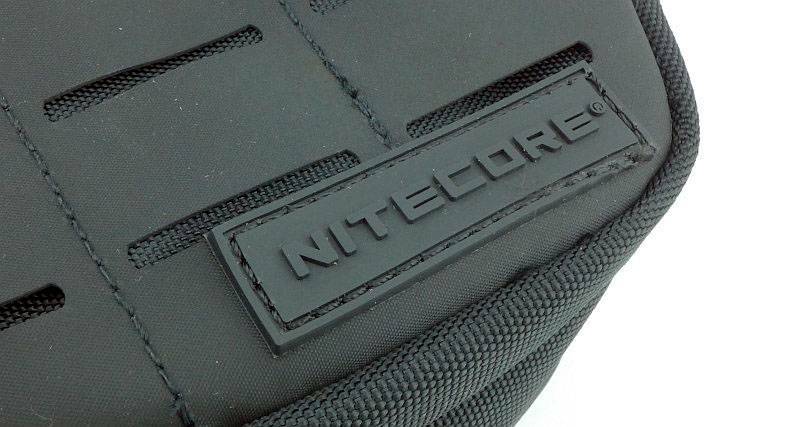 Again, in keeping with the stealth appearance of the pouches, the rubber NITECORE logo has none of the usual yellow colouring. 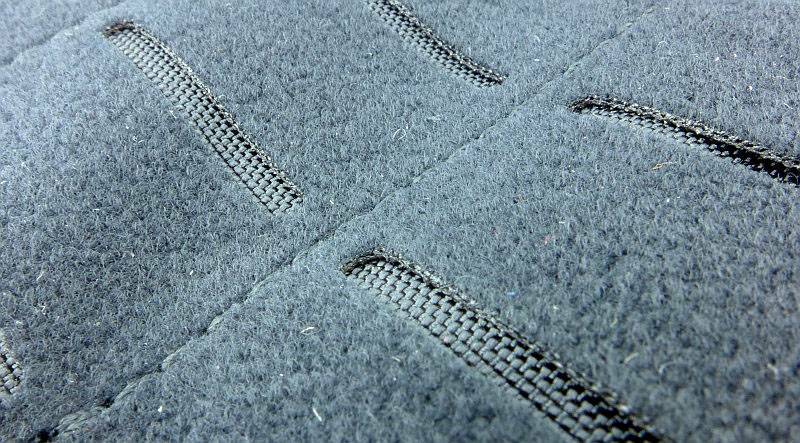 A closer look at the plush Velveteen Synthetic fabric front panel. 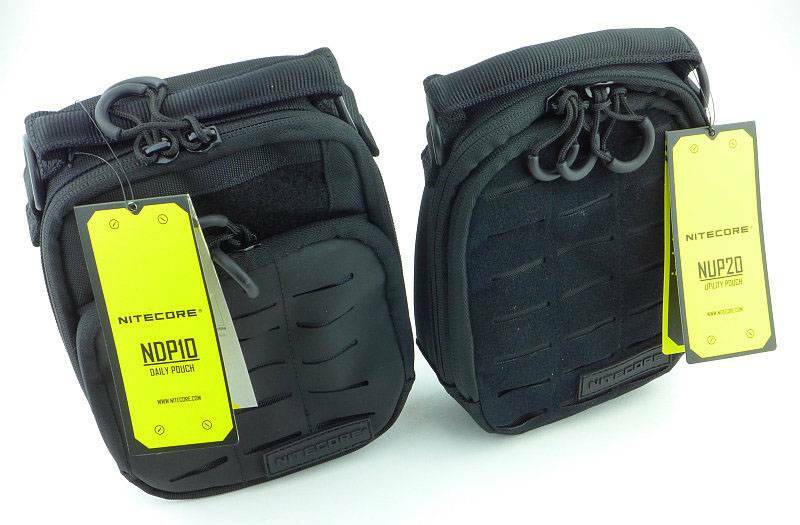 As on all of the NITECORE pouches there are large zip-pulls for easy access. 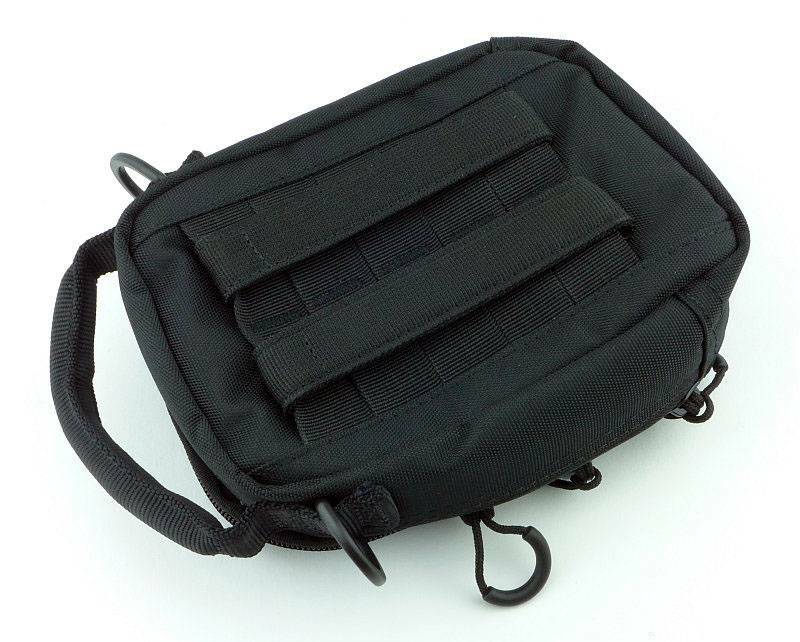 There is a padded carry handle on the top of the pouch so it can be carried like a small bag. 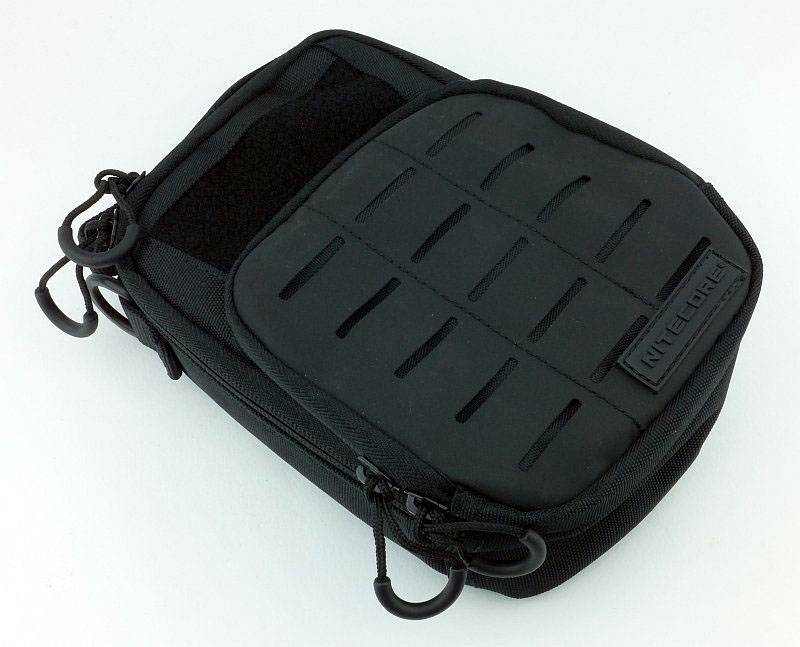 The Utility Pouch also has a shoulder strap. This too clips onto D-rings each side of the handle. The strap is a generous size so should accommodate wearing it over even large coats. On the back of the NUP20 is the same PALS attachment system as used on the Daily pouches. 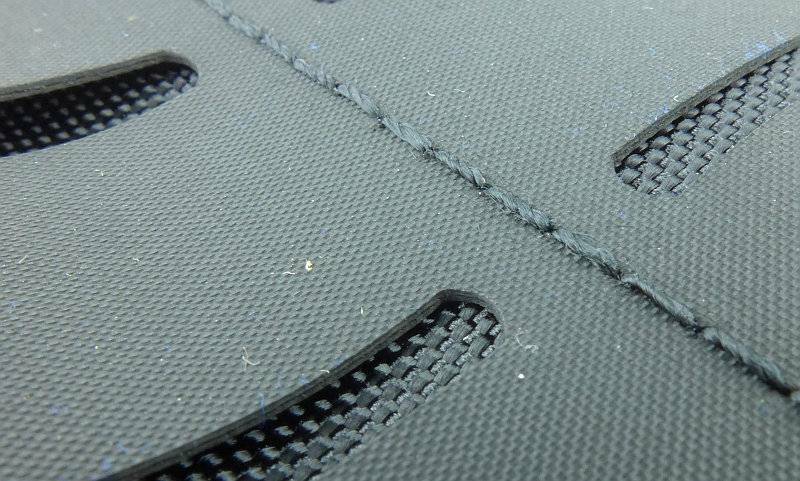 As before the PALS connection strips have a Velcro closure. 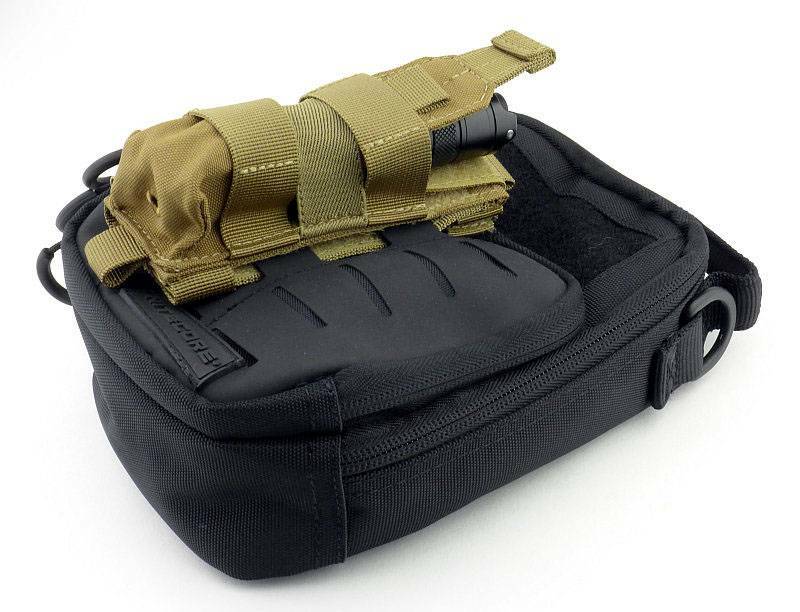 In the main compartment, the layout is the same as with the Daily pouch, but the compartment is just smaller. 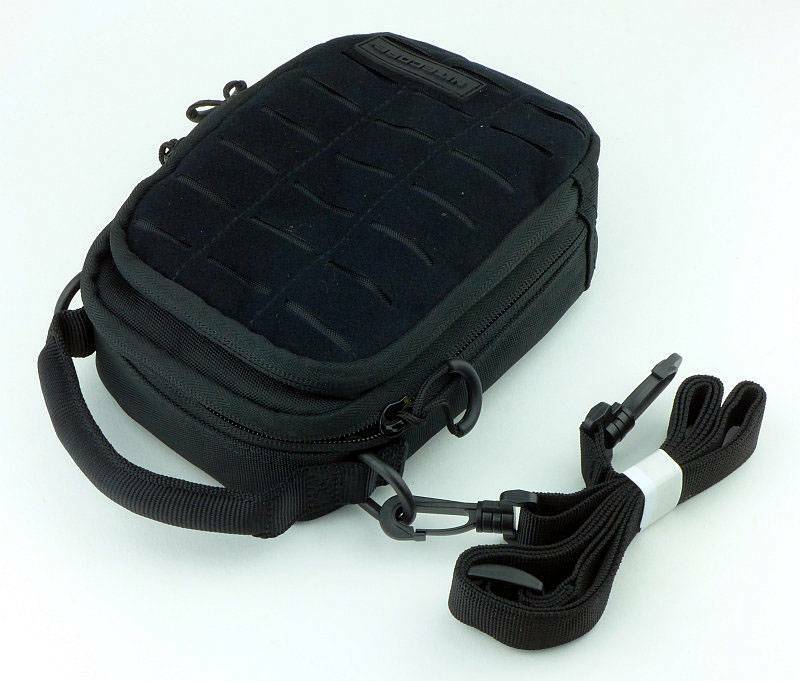 It too has the hook and loop rear panel inside the main compartment. Using the same configuration as the NDP pouches the NUP 20 has two elastic strips, a front pocket and a clip/D-ring fixing point for keys etc. inside the front compartment. A closer look at the clip/D-ring. 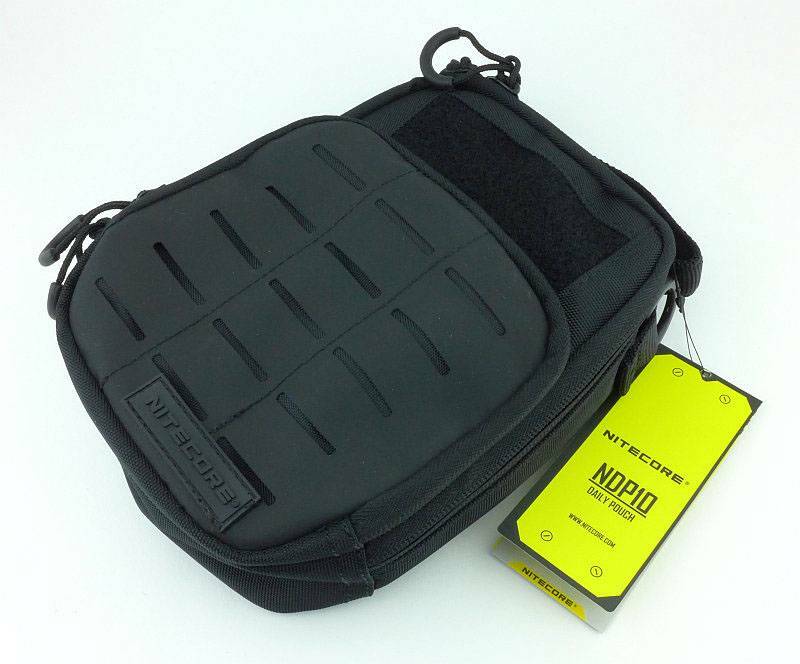 A very brief aside here looking at a couple of other NITECORE pouches/holsters, the NCP30, as one of these will appear in the next section. 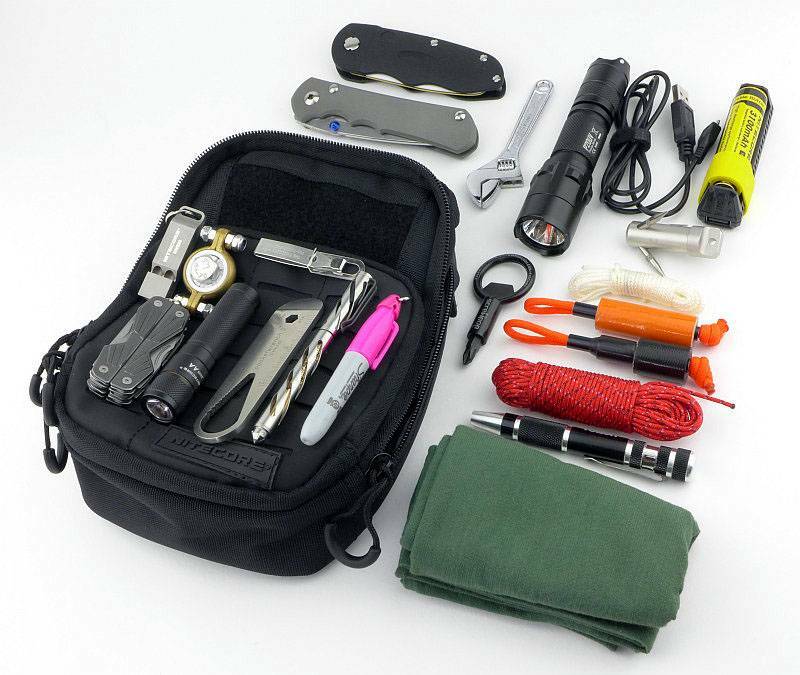 The way you choose to carry your EDC gear is as personal as your choice of the gear itself. What you are doing and where you are going also completely changes the requirements of your carry system, so you will need a few options to suit these differing requirements. 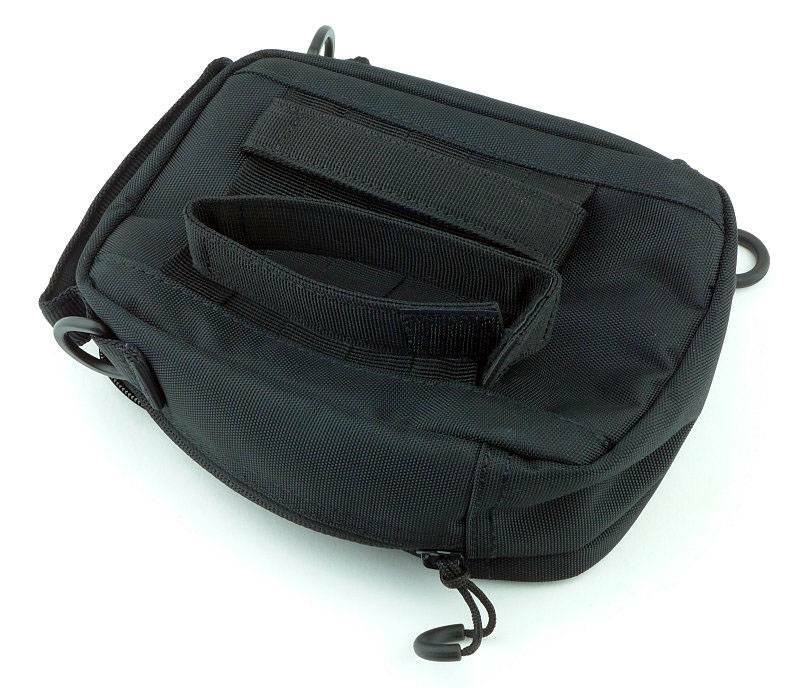 For any scenario, no one bag/pouch/system will suit everyone, and the way you fill that carrying system will also be unique. 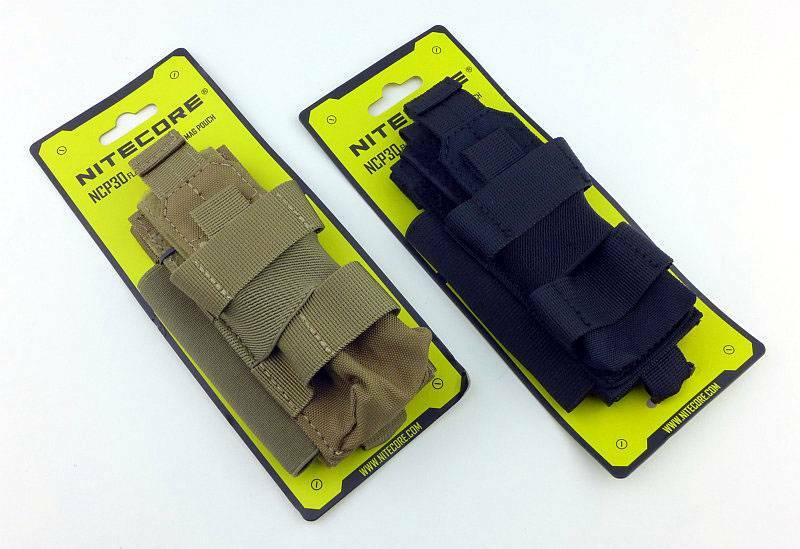 So really the best thing you can have are options, and the NITECORE pouches give you options. Taking the larger Daily Pouch the NDP10, here I’ve shown one example of a set of gear I’ve been carrying. Not too shabby, and prepared for the odd eventuality. Remember this was not crammed full, but was accessible. Like this I was carrying the NDP10 inside a larger bag, using at as an organiser, and also separately with the shoulder strap. 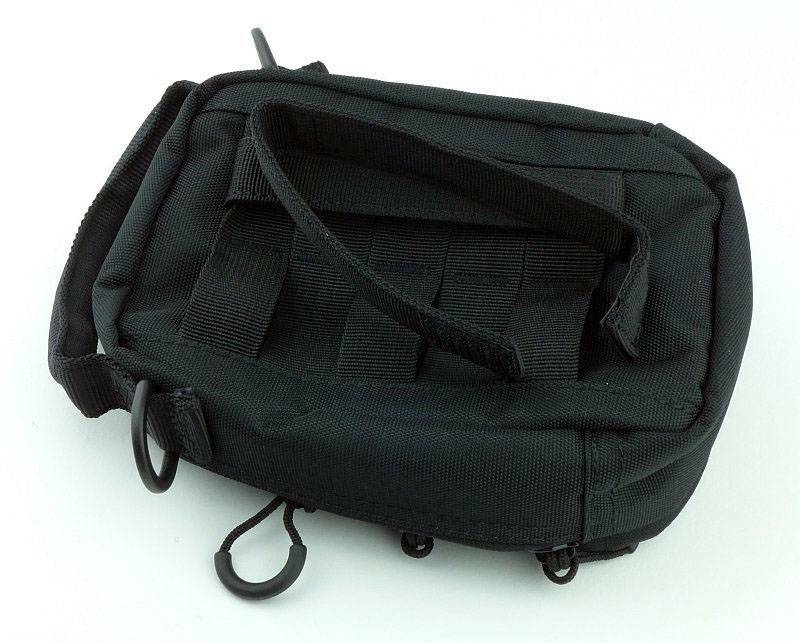 I found it a bit dense/heavy for PALS/MOLLE mounting. As a bit of an aside, to free up a bit of space inside and to make access to the bigger light easier I decided to use the PALS feature on the front to fit the NCP30 pouch onto the NDP10. From this angle you can see the PALS connection strap woven through the PALS panel. The NCP30 has an elasticated body that holds onto the light so you don’t need to have a top flap covering it. If you are concerned though, you can bring a retaining flap out of the NCP30 to fully secure the light. 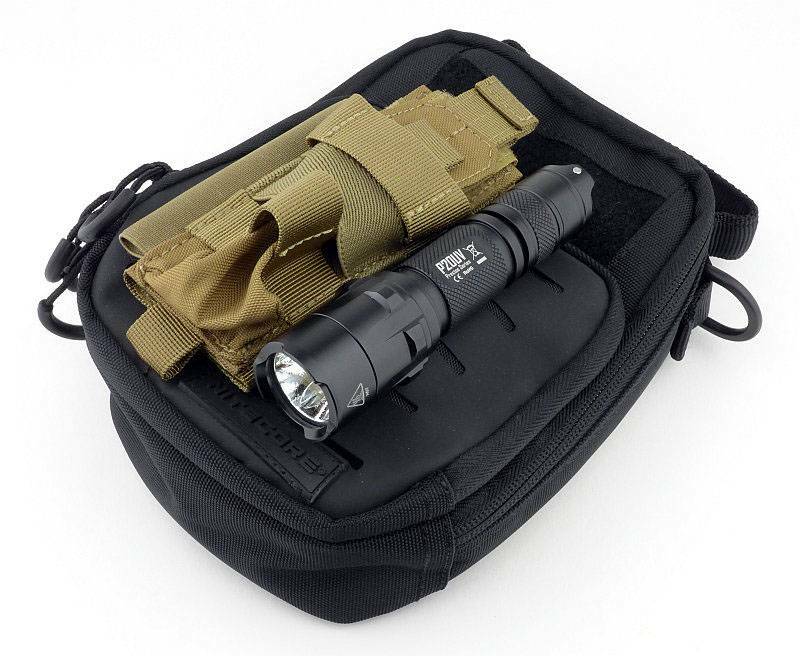 So, these NITECORE pouches give you options for organisation and carry of those essential EDC bits and pieces. 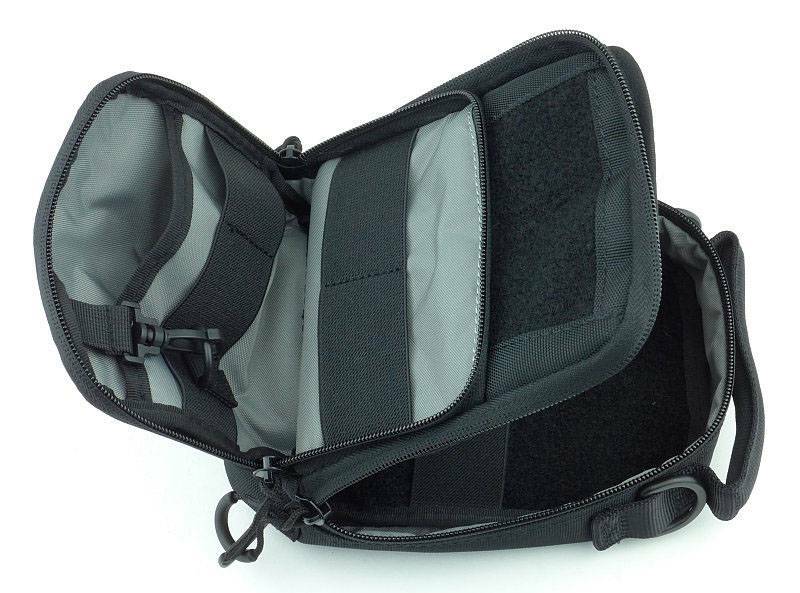 In-bag carry, direct carry, on-bag carry and shoulder-strap carry options for sensible sized pouches that are small enough to be convenient and large enough to be useful. 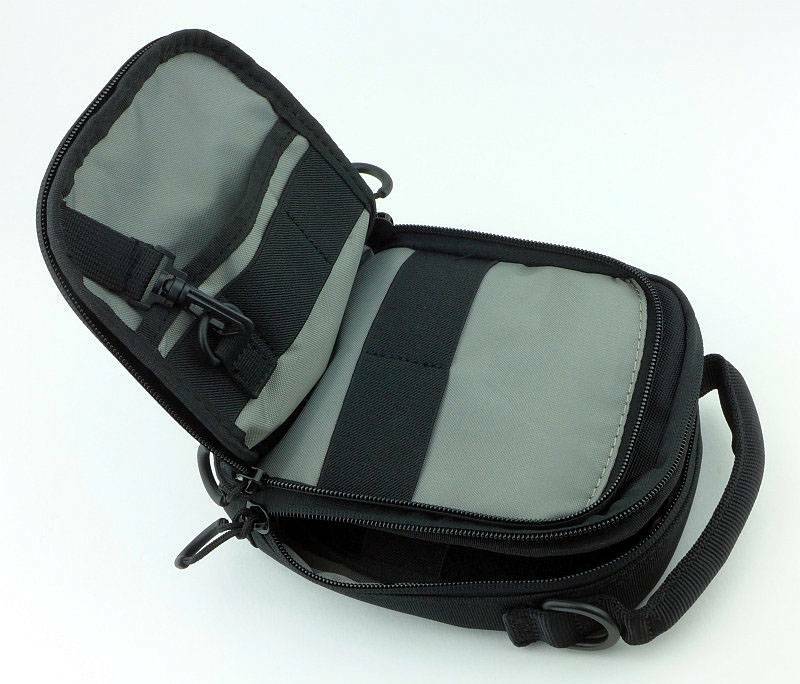 Choice of two pouch sizes that are small enough to be convenient and large enough to be useful. Would benefit from more dividers/separators inside main compartment. 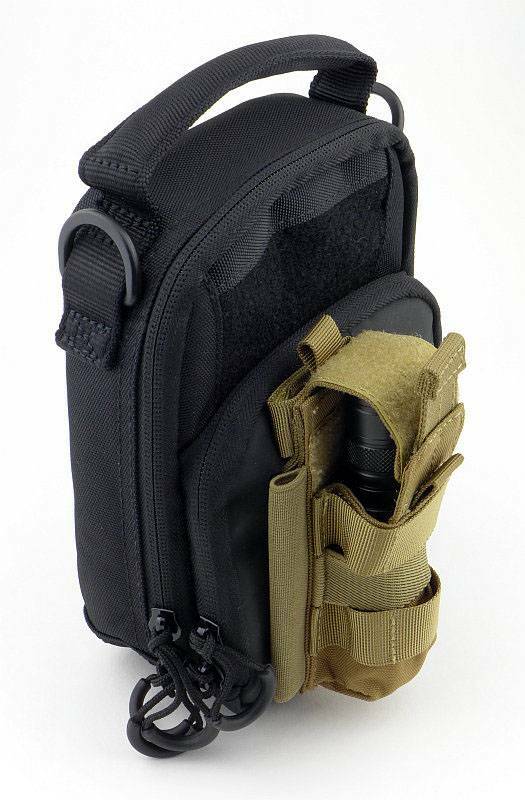 Multi carry options – Shoulder, PALS/MOLLE, handle. 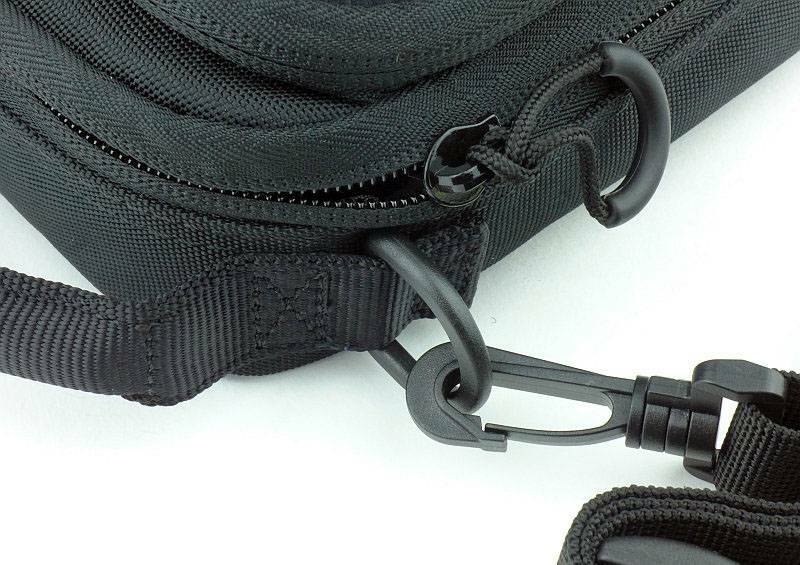 Zip-pull loops can catch on things accidentally and be pulled open. 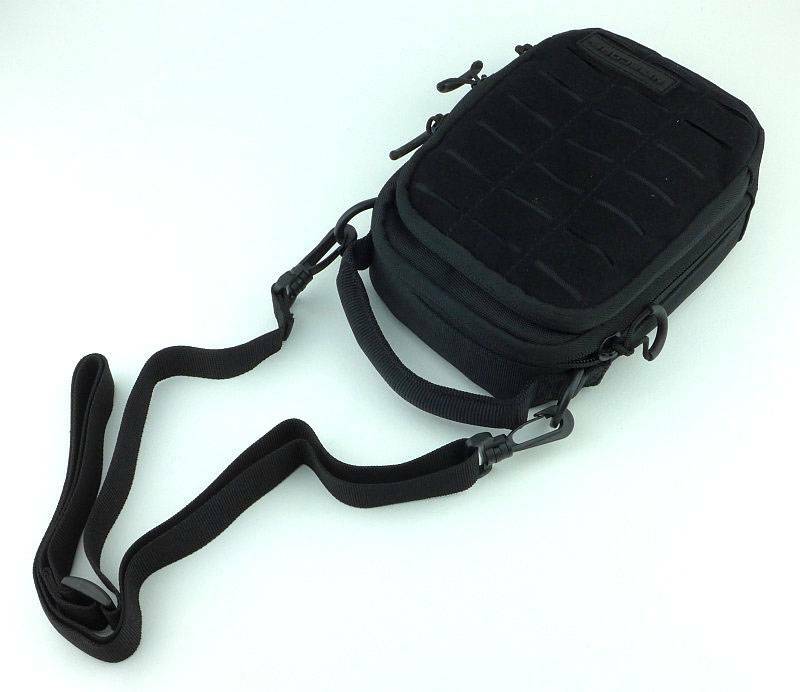 Smaller pouches can be attached to the front of these using hook/loop or PALS/MOLLE. 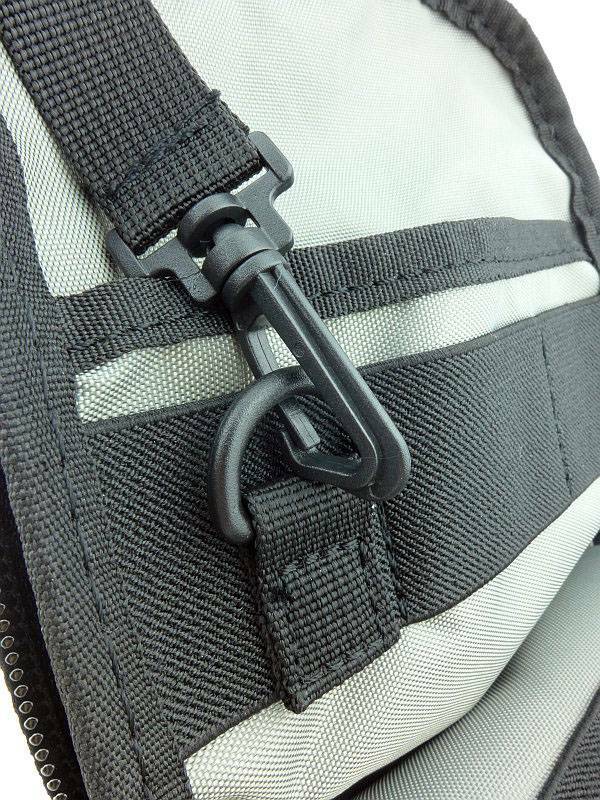 PALS/MOLLE connection strips not the most secure with hook/loop closure. 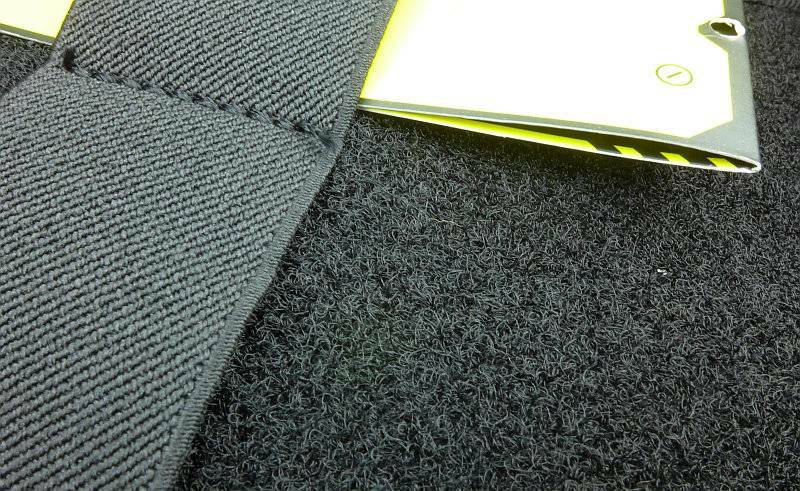 Choice of front panel material.